How many times have you taught, modeled, reinforced, and reminded your kids not to talk in the hallway? Do you still feel little fingers tapping you on the arm when you’re in the middle of a conversation? Are you playing detective every time you grade papers, trying to match handwriting samples to determine who forgot to put their name on their paper this time? Have you taught a math skill eight different ways and STILL getting blank stares on a few faces? Relax. This is a normal part of being a teacher. I don’t want to be discouraging, because things WILL get easier as the school year progresses, but I guarantee you’ll still have someone running in the hall in June. The trick is not to blame yourself or question your competency as a teacher, and most importantly, don’t give up! Working with children is much like our Christian walk- we never get to a point where we can put our feet up and say, “Okay, done. I’ve officially got this down. No need to do anymore because I won’t experience any more problems. It’s all downhill from here!” Teaching and Christianity are both an ongoing process of learning and trial-and-error that always present challenges, but if you keep at it, you will see how much better you are able to handle obstacles as you grow and mature. And just because we don’t see immediate results doesn’t mean we aren’t getting anywhere. Our work is never in vain when we’re working for the Lord. If you normally skip over the Verse to Remember and Read in these devotions, I encourage you to spend literally just a minute to check them out this time, because I think these verses are particular powerful in the way they can encourage and uplift you. You may even want to keep them somewhere on your desk where you can see them throughout the day. Have a wonderful week! READ: 2 Corinthians 4:7-18 (Click to read in the translation of your choice- others available at the site-NLT or NKJV). I love verses 17 and 18 in the NKJV. PRAY: Dear Jesus, I know that you have called me to teach and I thank you for the opportunity to accomplish Your purpose. Thank you for reminding me that I’m not the only one who is growing weary while doing good, and for your promise that there will be a harvest to reap in Your perfect timing if I don’t lose heart. Help me to establish the support system I need to get some fresh ideas and improve in the areas I need to work on- please place just the right people and resources in my path and help me to be open to what You want to show me through them. Your word tells us to cast all our cares upon You, to lay all of our burdens down at Your feet, and You will sustain us (Psalm 55:22). I want to cling to that promise Lord, and go into my classroom tomorrow with a freshness and enthusiasm that can only come from You. I love you, Lord! CHALLENGE: Think about one or two procedures or concepts that your kids just aren’t getting that are creating the most frustration on your part. After praying the prayer above or your own words, seek out an opportunity to brainstorm some fresh perspectives on the problem. Maybe you can bring up these issues at lunch in the staff lounge with some teachers you respect. You can also post a question or dilemma on teacher message boards and get helpful suggestions from experienced and sympathetic teachers all over the world. 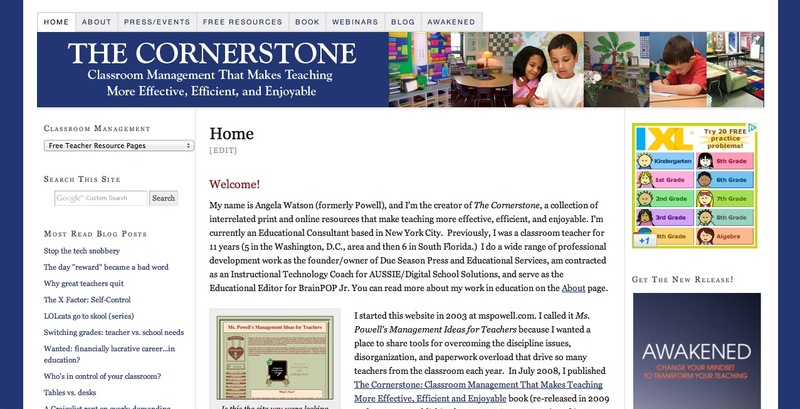 I have two personal favorites: the first is atozteacherstuff, which is run by a Christian friend of mine, because the boards are closely monitored for respectful and edifying communication and can easily be searched by topic going back several years. I also like to use Teachers.Net (Primary Elementary board) when I need to get a quick reply because most posts get a multitude of responses almost immediately. You can take any problem to these boards and no one knows who you are, so you can express yourself freely without embarrassment. Good devotion! At first, I thought the "broken record" was going to be about the hurricanes! Hope you are safe and have power.you're in our prayers. Thank you for this site that you do. It has been a blessing to me. I'm a first year teacher in the Bronx and we've had nine days of school. Today I found out that my class is being closed because of low enrollment on the grade (we went from 10 grade 3 classes to nine). Now I have no idea what is going to happen. I just know I'm supposed to show up at the same school tomorrow, but I no longer have a class. They were a really tough group though and I was really struggling with management, so maybe it's a good thing...I'll get a chance to start over. I was at dinner tonight with teacher friends and we were discussing this same topic. Isn't God good? I came home, logged on and found a notice for your new devotional. Just what I needed and, as always with our great God, right on time! Thank you for being willing to be his conduit. I always look foward to your devotionals. The email reminder that there is a new devotional always comes at just the right time. I always take time out of my day to read it and apply it. Thank you so much! You are truly a blessing. The analogy to teaching and our Christian walk is a good one. As a teacher, I know that I can never put my feet up and say, "Okay, I've got it all figured out. I'll just put things on automatic now." 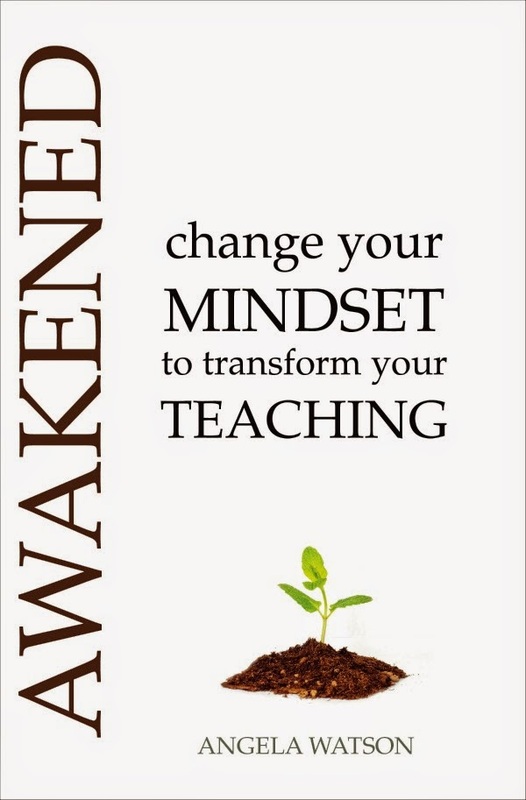 To keep my calling as a teacher fresh and exciting, I need to continuously look for new and different ways to teach. As a Christian, I'm always amazed when another Christian tells me, "I'm just where I need to be as a Christian, and I don't need to attend church. I've heard it all before." When I've said those words, it's time for Jesus to call me home. That kind of statement is feeding right into Satan's hands, and we certainly don't want that! This is my first time on your site...wow! Just what I need. I will bookmark this site and use it often. I teach in a Christian school and tomorrow it is my turn to do the devotional. 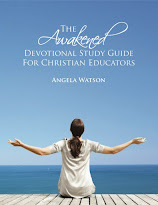 I was all set to talk about "weakened levees" in regard to our Christian walk (thinking all is okay and not taking time to "shore up the walls" by spending time in prayer and the word...)however, this devotional sounds as though you have been eavesdropping in our teacher's workroom! Thanks for this timely message! thank- you! this is just what I needed.